I have played from plenty of lofts and balconies of various sorts in my career, but I am always reluctant to extend my slide over the edge. There’s just that minuscule chance! Below is a picture I recently added to the Trombone History Timeline. The trombones play from an upper balcony on the right. 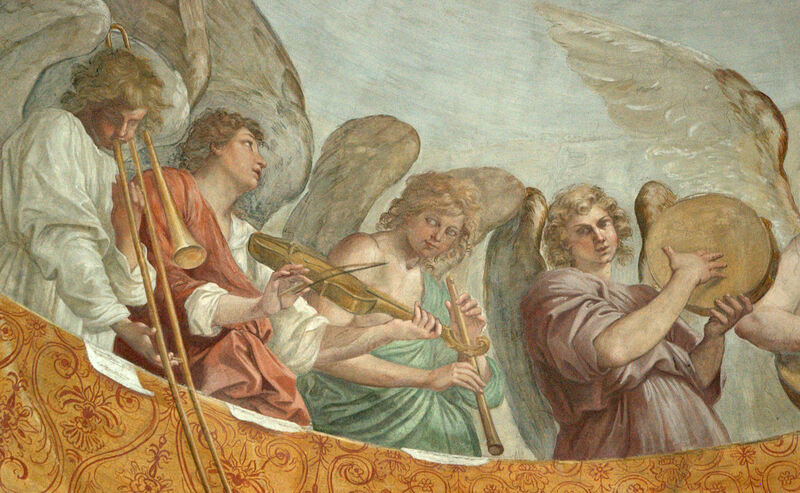 I think I had actually seen the engraving before and missed the trombones because the picture wasn’t enlarged as much as this version. You can click on this image to enlarge it even more. 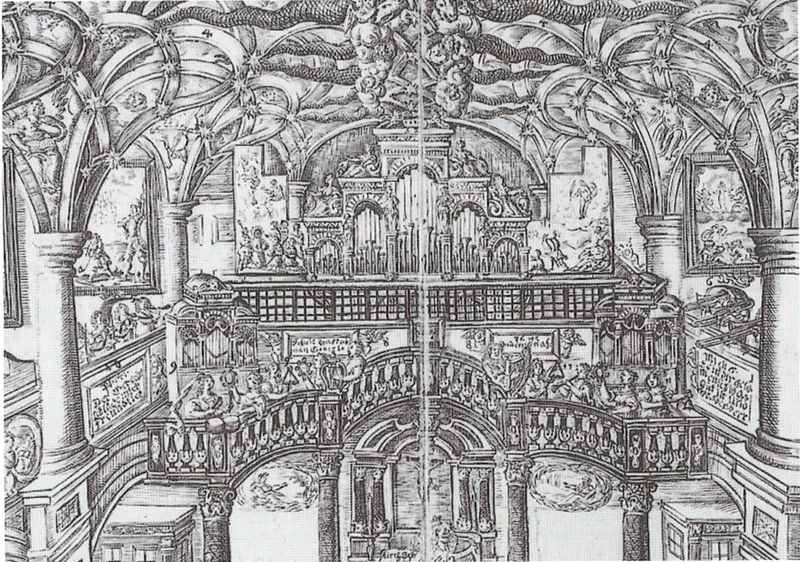 1676—Dresden, Germany: Artist David Conrad includes 3 trombones in his engraving of Dresden’s Schlosskapelle (see right side of detail below; click image to expand; public domain) (Die bemalten Orgelflügel 69).